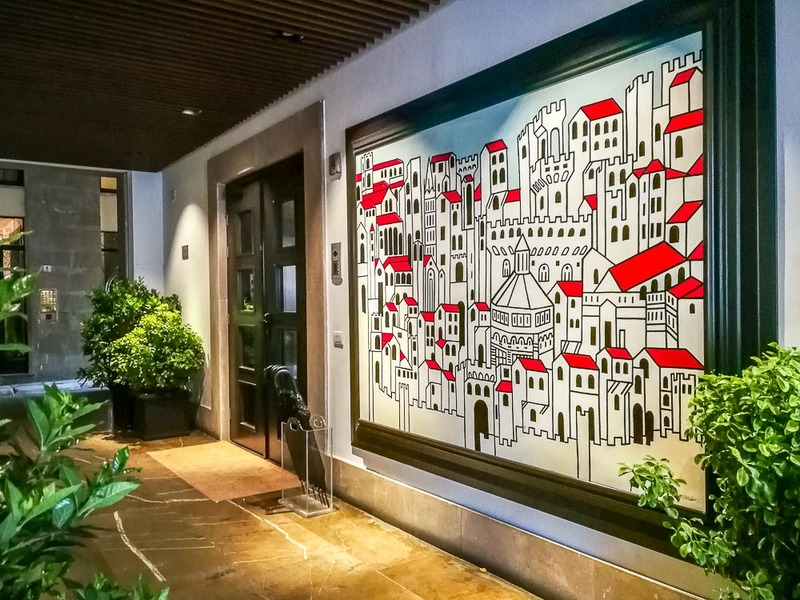 In the heart of Florence and only a few steps away from the iconic Ponte Vecchio, the Portrait Hotel Lungarno hosts for the second consecutive year a collection from the artists of the Art Gallery Studio Iguarnieri. 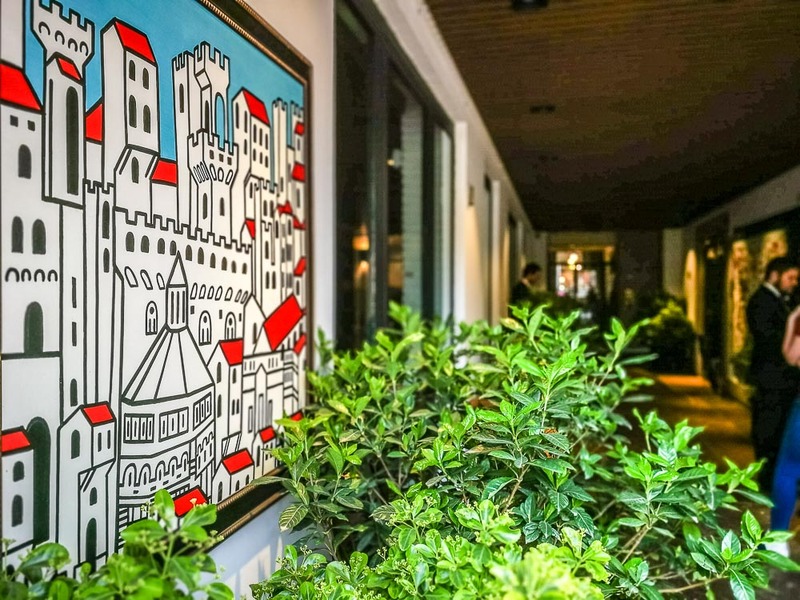 With two representative works seen by the eyes of the world, Roberto and Rodolfo present us with a collection of paintings and sculptures with the typical Florentine tradition of excellence in craftsmanship and quality. 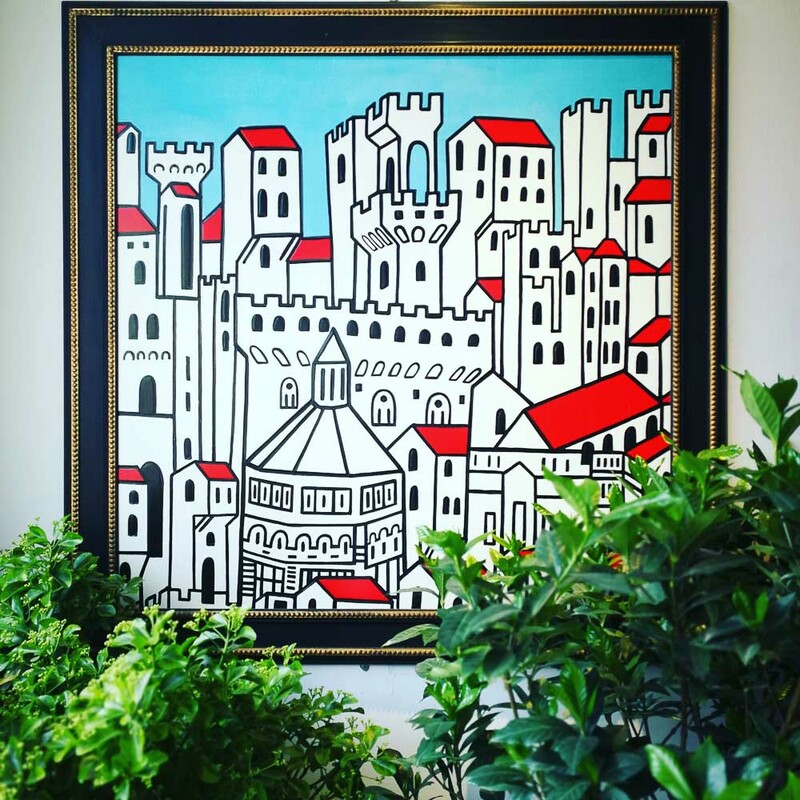 We find a contemporary reinterpretation of an antique fresco from the city of Florence, currently displayed in the “Museo del Bigallo”. Having taken the essence of this antique work of art, the Guarnieri brothers have acquired an impressive and unique character. The simplicity and definition in their lines as supporting columns leave no doubt about their authorship. Accompanying the entryway of the hotel, “Il Bimbo”, a sculpture in cedar wood, with oval and precise shapes, painted uniformly black is also on display. 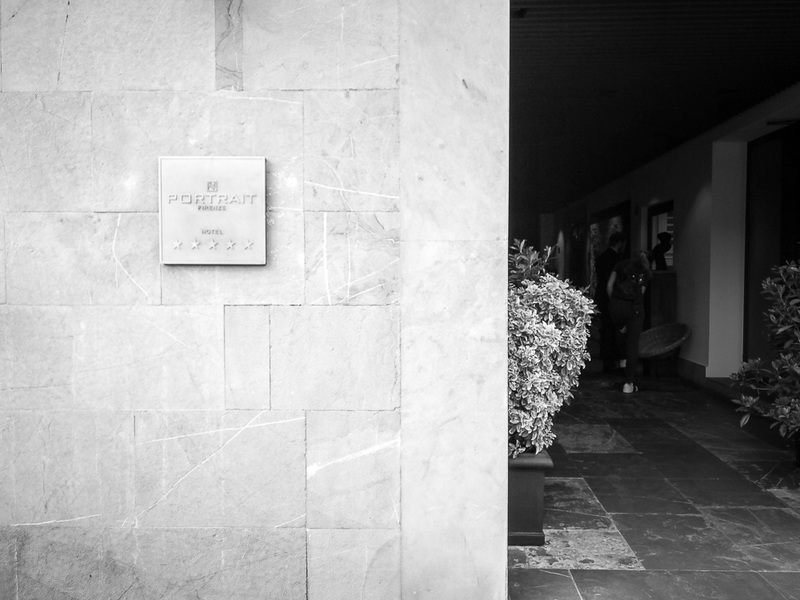 Also, a series of unique sculptures, arranged exclusively for this event, is placed inside the prestigious Portrait Hotel. We invite you to learn more about this fantastic exhibition in person, which will be available throughout the summer season 2018, the hotel provides free entry to view the exhibition. Portrait Firenze, Lungarno degli Acciaiuoli, 4, 50123 FI.